The Champions League quarter-finals draw: There are no shortcuts! Will José Mourinho return to Real Madrid? Who will win FIFA’s “The Best” in 2018? 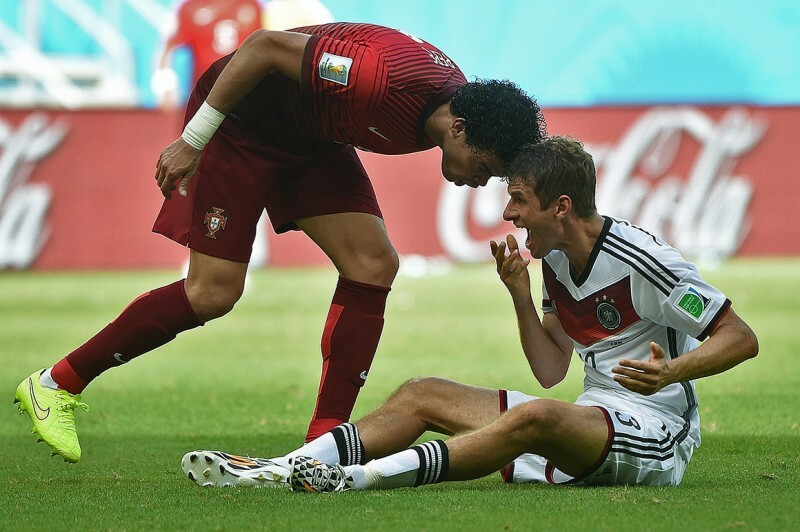 Germany 4-0 Portugal: Müller scores this World Cup’s first hat-trick! Germany line-up: Neuer, Boateng, Mertesacker, Hummels, Howedes; Lahm, Khedira, Kroos, Mesut Ozil, Mario Götze; Thomas Müller. Portugal line-up: R. Patrício, Coentrão, Pepe, B. Alves, J. Pereira, M. Veloso, Moutinho, Meireles, Nani, Cristiano Ronaldo, H. Almeida. 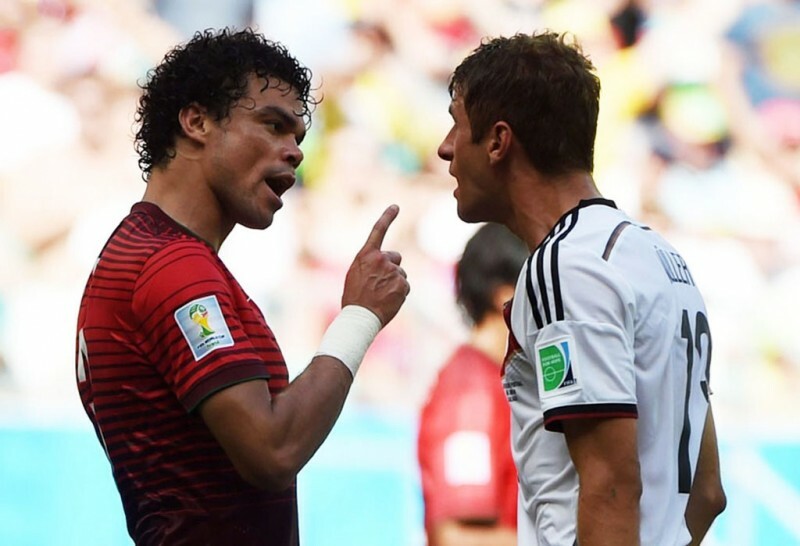 The Group G of the 2014 FIFA World Cup opened up with a match between two teams deemed as title contenders, but only Germany seems to have left out the pitch holding that label. The “Mannscahft” dispatched the Portuguese Team with an expressive 4-0 win and made sure they would pick the first points in their group. Looking back at what happened in the match, Germany impressed mostly in the way they managed to held on to the ball and pass it around their players, leaving Portugal‘s midfield without many chances of disputing them on that particular battle of the game. Joachim Löw played with a very packed midfield formed by players such as Bayern Munich men Philipp Lahm, Toni Kroos and Mario Götze, Real Madrid‘s Sami Khedira and Arsenal‘s Mesut Ozil. The victory started being built around the 12th minute of the first half, following a penalty-kick call by the referee on a foul drawn by Mario Götze. The former Borussia Dortmund midfielder had just skipped past João Pereira, when the Portuguese defender used his arms to bring him down inside the box. 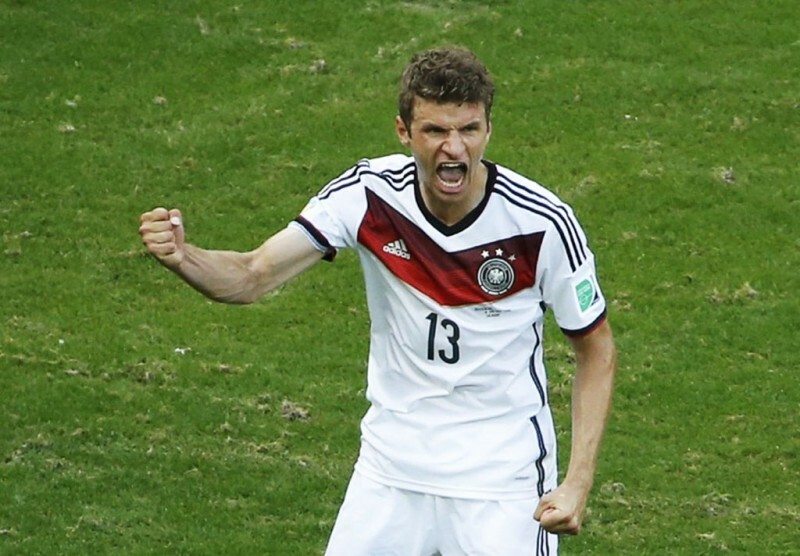 Penalty-kick to Germany and Thomas Müller easily converted it to send his side to an early lead in the game. Portugal never reacted very well to the early setback and even though they still managed create a couple good chances to equalize the game afterwards, it would be Germany reaching the next goal of the evening. It came in around the 32nd minute of the first half, through a corner-kick taken by Toni Kroos that Mats Hummels headed into the back of the net after finding virtually no opposition inside the heart of Portugal‘s box. Germany reached their 3rd goal still before half-time, which must have raised even more concerns within the Portuguese Team about a potential record-breaking humiliation in the World Cup. This time the goal came in after another error in the Portuguese defense, following a bad clearance from Fenerbahçe‘s centre defender, Bruno Alves. His bad touch made the ball fall over on Thomas Müller feet and the German forward was keen to show his killer instinct upfront, as he striked it without having much time to think about what to do there and beat Rui Patrício to set the score in 3-0. 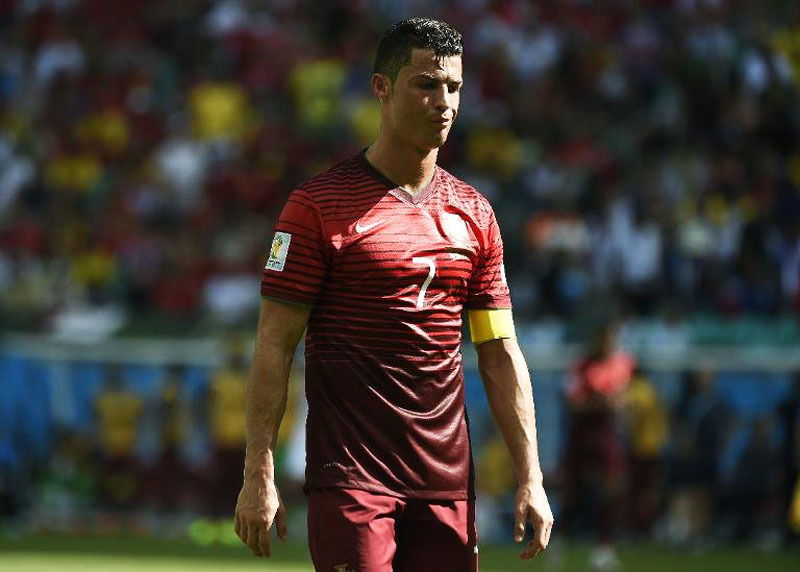 To make things worse, Portugal still had to bear the loss of two of their players to injury, since both Hugo Almeida and Fábio Coentrão were forced to leave the pitch after struggling with some worrying physical problems. Germany naturally slowed down the tempo in the second half, but they would still score a 4th goal shortly after we entered the last quarter of an hour. The goalscorer was once again Thomas Müller, who simply had to tap-in a rebound coming off Rui Patrício‘s hands, following a low cross by Chelsea‘s midfielder André Schurrle, sent in from the right wing. With the hat-trick Müller signed in this game against Portugal, the German 24-year old striker is already the 21st World Cup‘s all-time top scorer with a total of 8 goals, and is now “only” 7 goals behind the leader Ronaldo Nazário (the Brazilian one). Argentina 0-1 Germany: Mario Götze delivers the World Cup title! Neymar will support Argentina in the final, because of Messi! 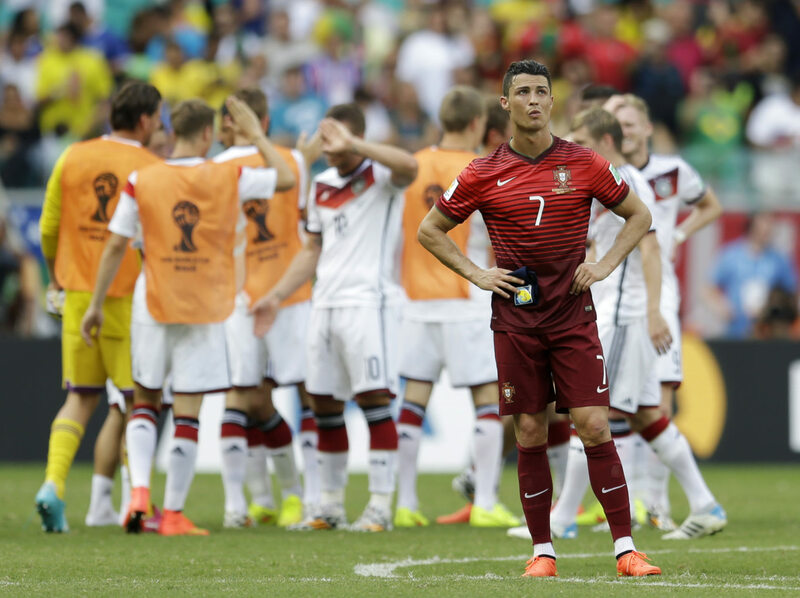 Brazil 1-7 Germany: Yes, it happened! 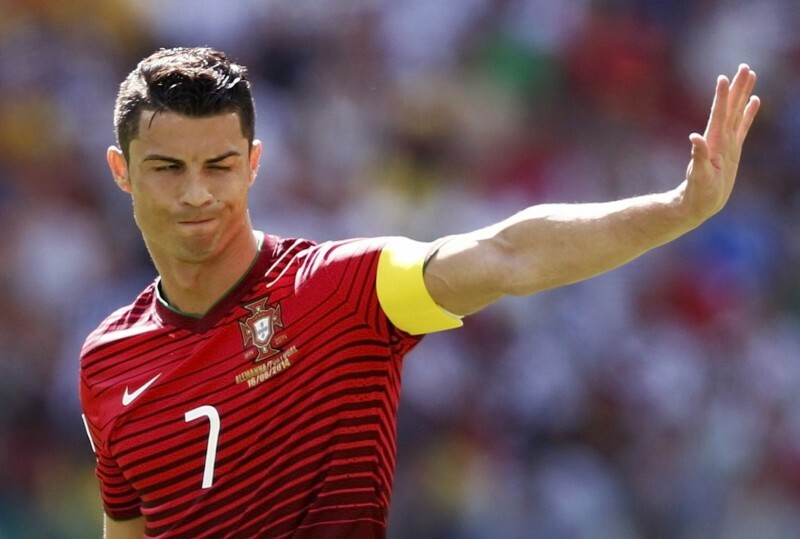 FIFA World Cup quarter-finals: Who’s the favorite now? What’s going to be unique at the 2022 FIFA World Cup in Qatar? Real Madrid 4-1 Atletico: The Kings of Europe are back! Copyright © 2018 FootballGate.com | All Rights Reserved.